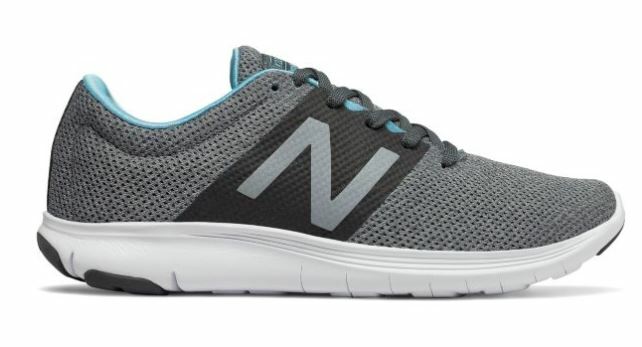 Today ONLY, while supplies last, get a pair of these New Balance Women’s FuelCore Coast v3 Running Shoes for $19.50 (Retail $64.99). Sizes are limited so hurry. The women’s FuelCore Coast v3 Inverse is designed for running, but it pushes fashion boundaries for a look that holds its own before and after your workout, too. This versatile women’s sneaker offers a specialized mesh and synthetic knit upper and foot-hugging bootie construction to deliver a peak combination of comfort, fit and sporty style. Plus, the slip on design makes it easier for you to get up and go, whether headed to the gym or running errands. The FuelCore Coast’s sleek style pairs easily with jeans, workout gear and your favorite athleisure so you can look and feel active no matter where you’re headed.